Being a TS16949 certified company, Sinomas has been supplying battery heaters to the automotive industry for a few years. 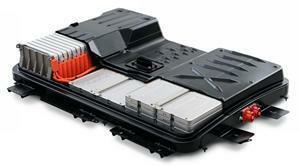 Our customers include the major manufacturers of electric vehicles (EV) and hybrid electric vehicles (HEV) in China. 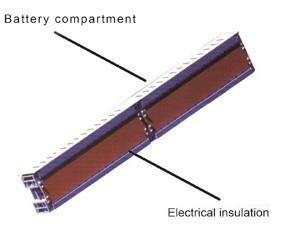 Our etched foil heaters provide reliable heat source for EV battery pack and eliminate the negative impact of low temperature on the batteries. Different thermal profiles can be designed to be installed inside the wall and bottom of the battery box. It is also possible to insert heating plates in between the battery packs. In this case, various slots may have to be cut to allow for good thermal contact and air ventilation. Depending on the specific requirement, the insulating material could be silicone rubber heater, polyimide film heater or epoxy resin. In addition to the heating plate, we are also able to develop FPC for affilliated applications: for example the voltage data acquision unit. The heating elements adopt nickel alloy foil that patterned by etching process. Fast heating, high efficiency and long working life can be achieved. The double insulation of moisture proof silicone rubber and alkali free glass fiber makes the insulation more reliable. The auxiliary radiation of aluminum plate improves the thermal efficiency of the heater plate and prolongs their working life. Built-in temperature sensors, thermostats and quick connectors make it convenient to integrate with BMS system. The operation of the battery heaters is controlled by battery management system (BMS) of the electric vehicle via a relay. One temperature input of the BMS is taken from the temperature sensor (NTC) integrated in the battery heaters. For example, when the ambient temperature is lower than 3°C, the heaters cut in. 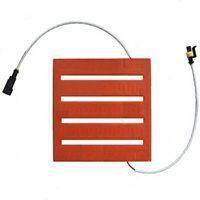 When the temperature of the heaters reach 17 °C or the ambient temperature reaches 8°C, the heaters will cut out. Under abnormal conditions like catching a fire, a built-in thermostat will cut off the heating system.